Over the weekend, Joey Mead King’s husband, Ian King, made waves on social media after coming out as a transgender woman who now goes by the name of Angelina Mead King. According to Philstar, Angelina was “met with so much acceptance and support from friends and loved ones” and that coming out has made her feel like a weight was lifted off her shoulders. Joey spoke of the challenges she had to face to protect her wife Angie: “I fought hard—tooth and nail, blood, sweat, and tears for this relationship. Somehow it all breaks away. For what's life without a little bit of bizarreness?" Now, you might be thinking, why is this important? Learning these terms and using the correct pronouns are crucial because they are signs of respect; it’s an easy way to let someone know that you acknowledge and trust who they really are. When someone is referred to using the wrong term or pronoun, it can make them feel invalidated, dismissed, and even oppressed. 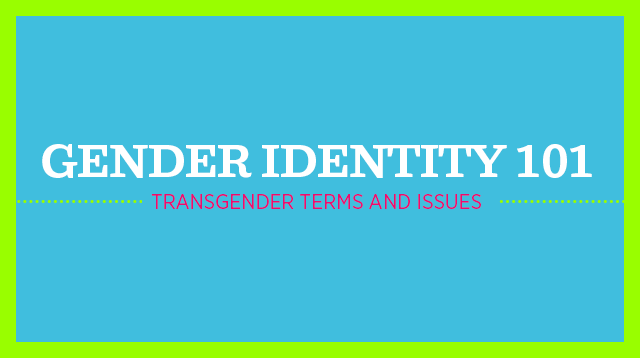 Let’s be more mindful of the needs and rights of our transgender peers.